I felt to hold off writing about her until now. Now, as the full energies of Sirius are about to come to us, she would like to offer her gifts. 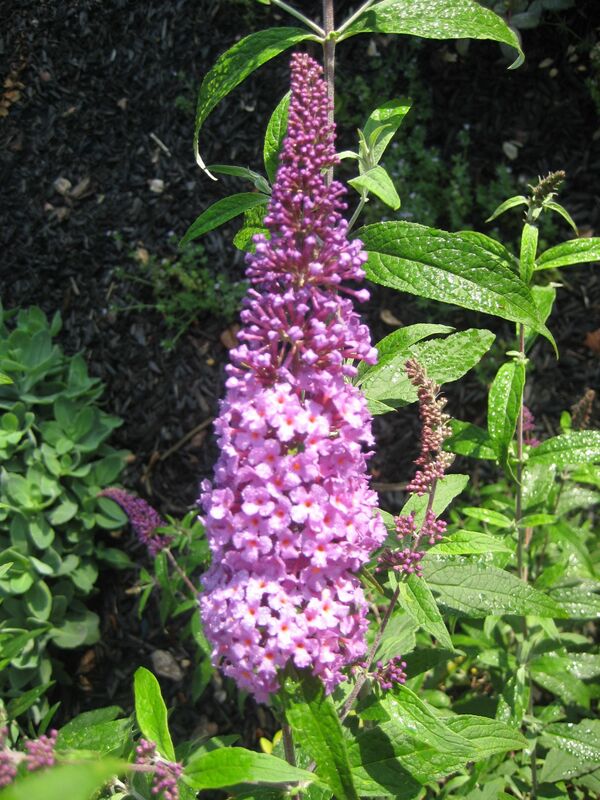 Butterfly Bush blooms are like a magnet for butterflies and moths. Every one of her spires has been covered with butterfly kisses, and therefore, the flower soaks in the additional blessing of the butterflies’ ability to transform. Take her up as a torch of the Violet Transmuting Flame….visualize this cleansing ~ transmuting flame moving from your feet, completely through your entire body, and all through the immediate space around your body. – The exercise above, using the Violet Transmuting Flame, is an excellent energy cleanser: use it whenever you feel like a good smudge, but can’t burn some sage at that place or time.